We published a real estate Industry EA Reference Model in Jan 2014. 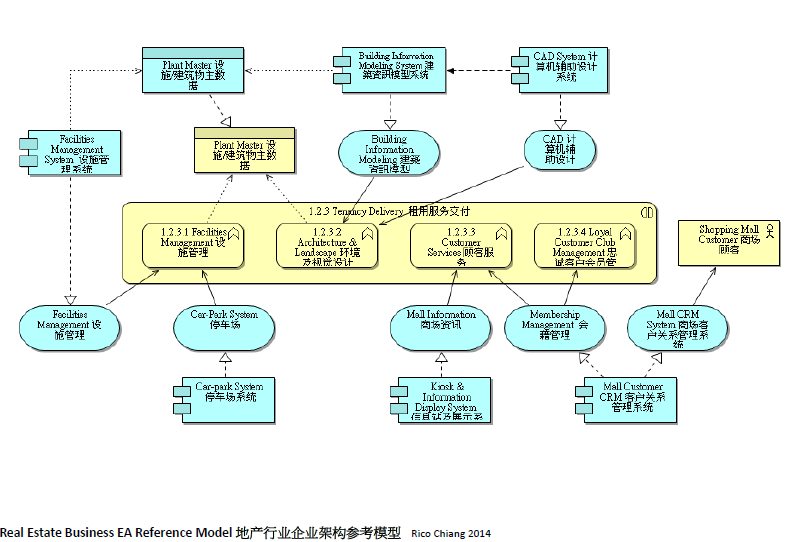 (https://aea-hk.org/2014/01/27/real-estate-business-enterprise-architecture-reference-model/) Based on this original model, we posted a revised “to-be” model in Feb 2014 to address some hypothetical business strategies changes in order to demonstrate Archimate’s ability to support TOGAF method. 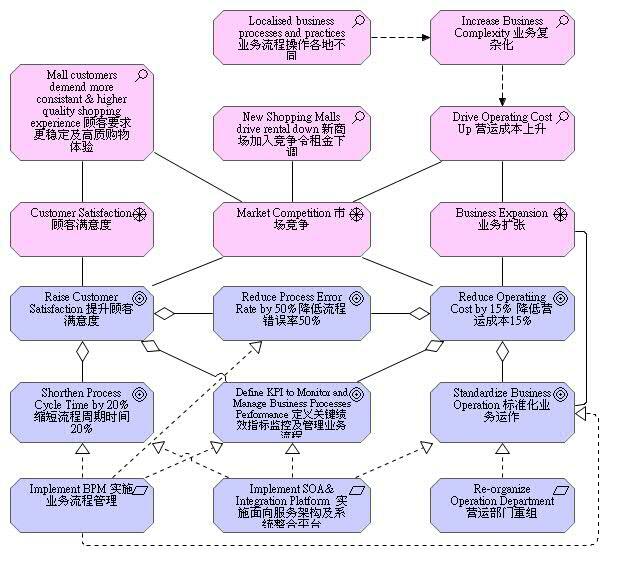 (https://aea-hk.org/2014/02/17/real-estate-industry-enterprise-architecture-reference-mode-version-2/) In view of the latest rapid eCommerce boom and its impact on commercial properties, we again developed a “future” model based on the original models to show how ArchiMate can facilitate business and IT strategic planning to response to such external environmental trend. Comment and feedback are much welcome. In order to promote TOGAF enterprise architecture framework and Architmate modeling language, we developed a Real Estate Industry Enterprise Architecture Reference Model using Archimate for discussion and sharing. The model was based on the general business practice of real estate industry in Hong Kong and PRC. Any comments or idea on how to improve the model for better communication among IT, business analysts and users are much welcome.